Meet Jaxon or, Lumber-Jaxon as his friends like to call him. He loves to be the center of attention! You will find Jaxon doing yoga stretches and rolling around in the grass when on walks. He’s a good fit for an adult-only household who has previous dog experience due to his strength, persistence, and jumpiness. 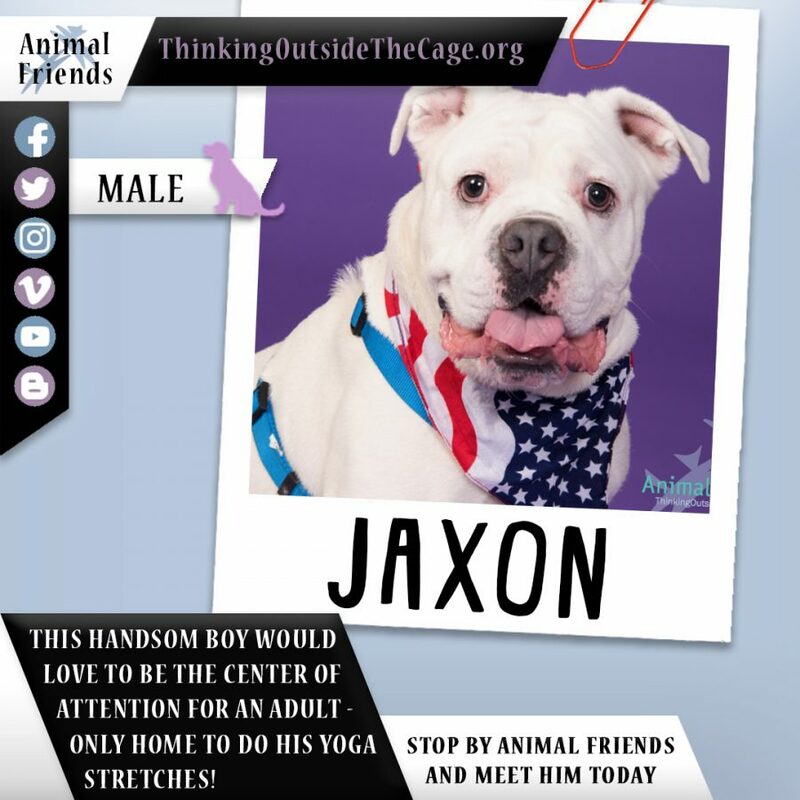 Jaxon also is not a fan of other animals, so he would do best as the only animal in the home. His new home should understand that force-free training methods are extremely effective in teaching him what you want him to learn. Jaxon would also benefit from enrichment activities that will allow him to exhaust some of his energy. Stop by to meet your new best friend Jaxon today.